It’s not our first rodeo or our first visit to Hobart, in fact, it’s our fourth visit in the last 4 years! 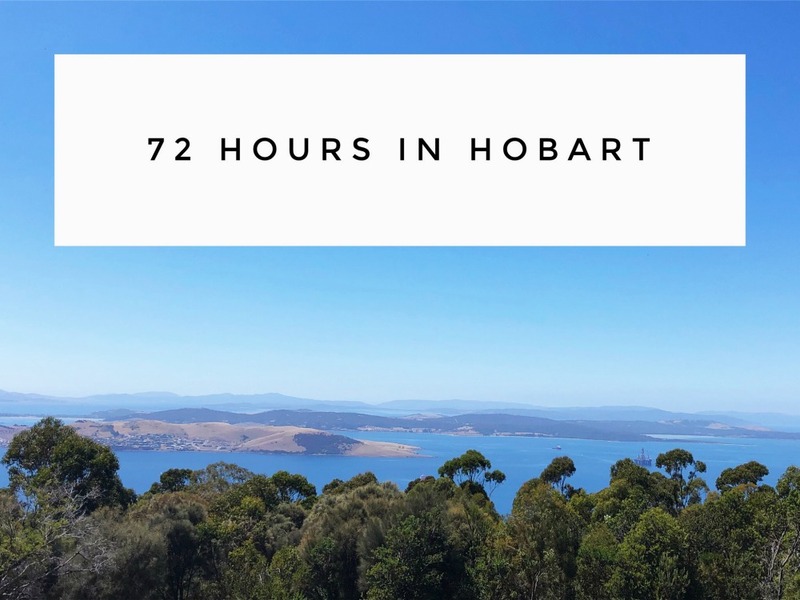 Previously I’ve shared my itinerary for a fun packed 48 hours, some of my favourite places to eat and drink, my favourite spots for brekkie and coffee and all the things you can see and do in Hobart without a car. On this trip we had a whole 72 hours – that means more time, more food, more fun and more frolics. 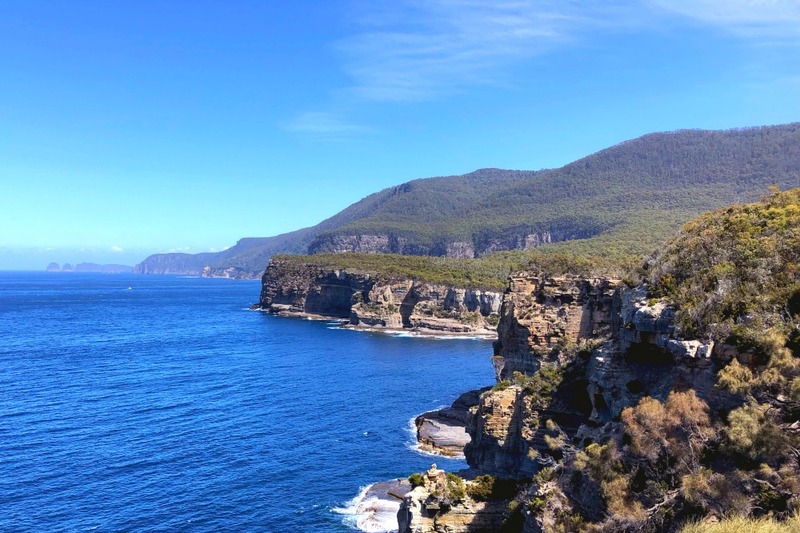 Check out this itinerary – we certainly made the most of our long weekend! 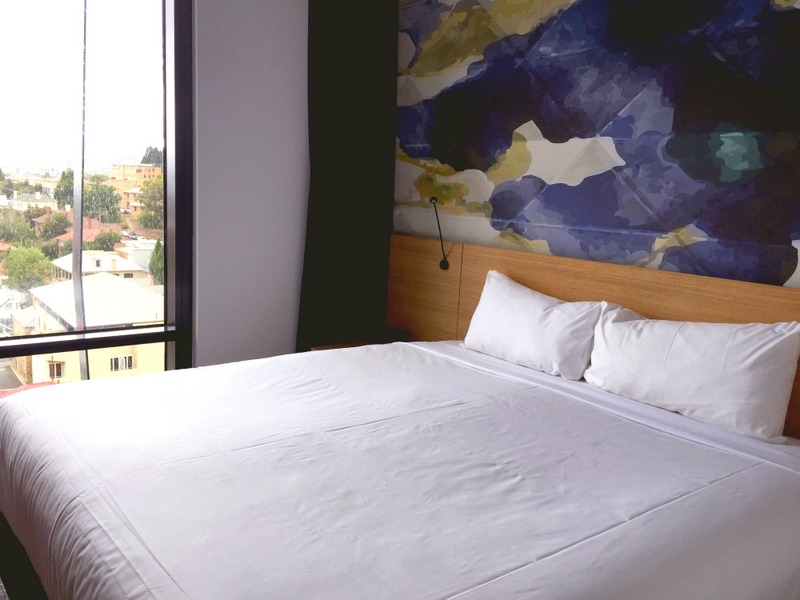 This (nearly) new hotel ticks all our Hobart boxes. It’s clean, modern, brilliantly located and reasonably priced (by Hobart standards anyway.) We splash out on a deluxe room for a little bit of extra space and a sneaky peek of a water view. Although rooms here are quite compact and amenities are budget, I’m a big fan of the luxury-style features especially the generous USB ports and charging points and the powerful rain/hand held shower in the bathroom. Winning! We haven’t travelled across the Tasman Sea to stay in our room though. 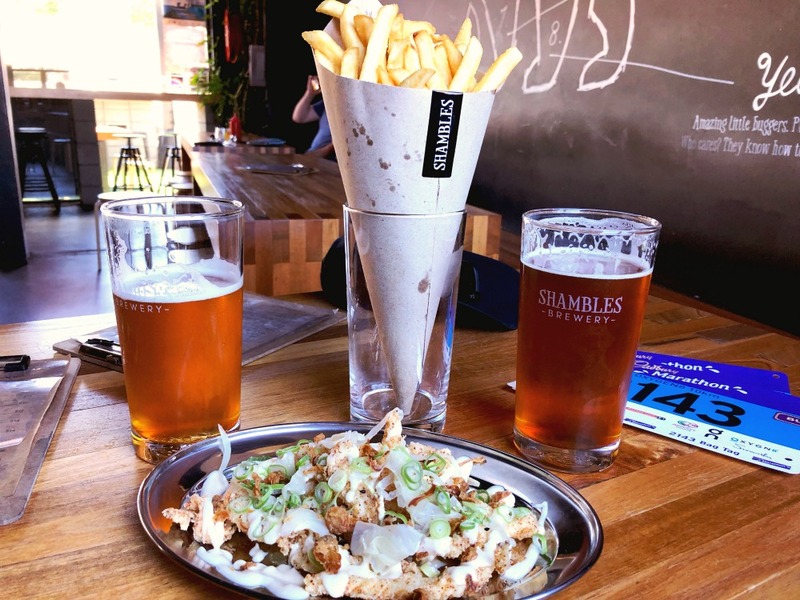 We pick up our race bibs for Sunday’s 10K in the Cadbury Marathon and without further ado, we head to Shambles one of our favourite Hobart watering holes. 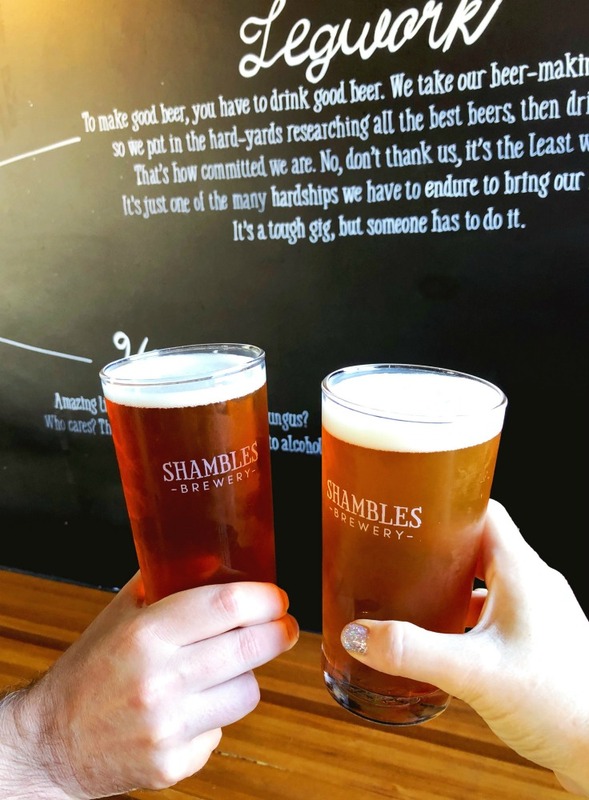 We rarely visit the same place twice on our travels but we always make an exception for Shambles. A visit to Hobart just isn’t a visit to Hobart without a pint of their delicious beer. And the food is mighty fine too! The pint of chips and fried squid with yuzu mayo certainly hits the spot. 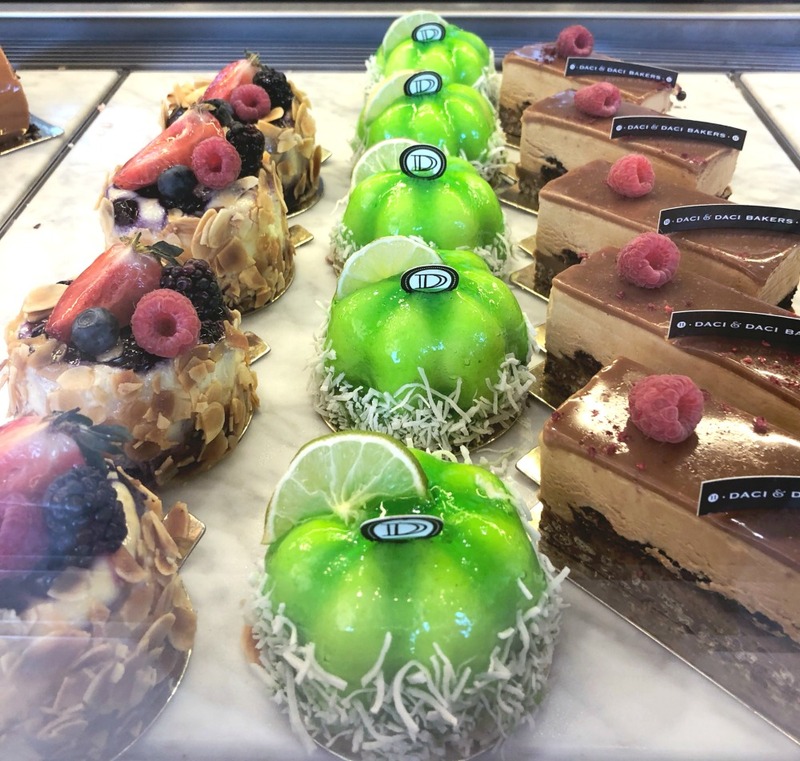 I’m desperate to satisfy my sugar cravings at Sweet Envy – I’ve heard so many good things about this sweet mecca of ice cream, candy and cakes. We make a pilgrimage to North Hobart but alas the shop is closed on an extended Christmas break which leaves a most sour taste in my mouth. However, we cheer ourselves up with a walk in the sunshine back to the docks – they’re my happy place. I mean, just look at all that blue sky! It’s a hot day and it’s important to keep hydrated so we head to Hobart Brewing Company for some liquid refreshment. 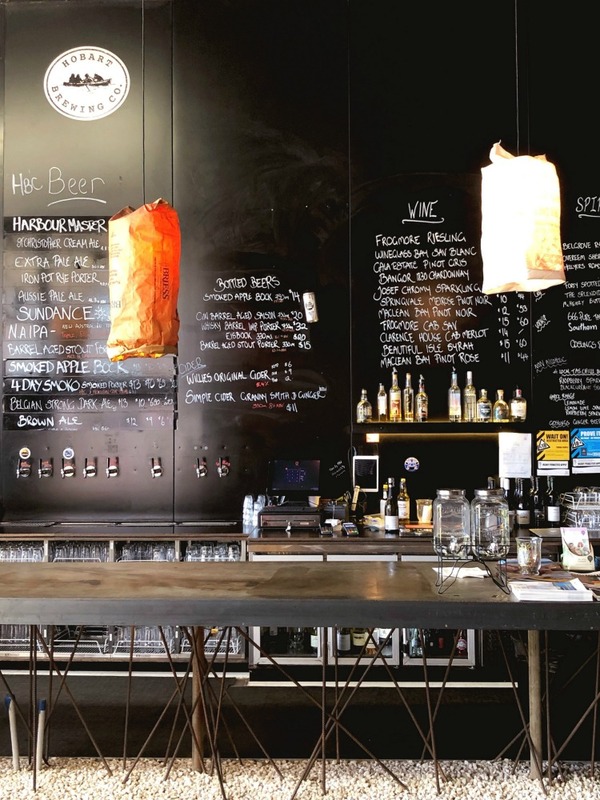 It’s worth the walk through the CBD, around the docks and in to the industrial area because this place is a beer mecca! There’s great beer, cool vibes, friendly service, lots of space inside and out and free pool and ping pong tables. We’re too full to even think about food but if you’re feeling peckish, there’s always a food van or two to keep your hunger pangs at bay. 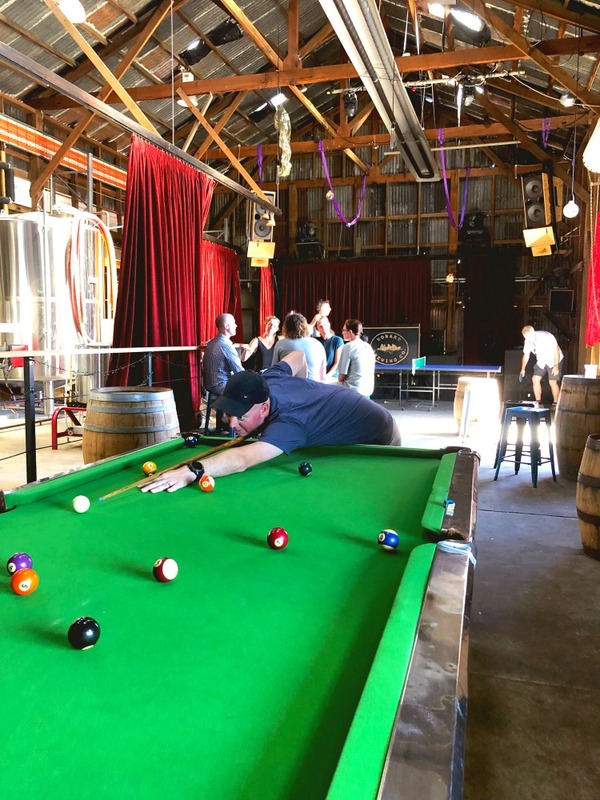 I think it’s safe to say we have discovered a new Hobart favourite and not just because I crown David King of the Pool Table! By the time we’ve finished our beer, rested our weary legs and freshened up, it’s time to go out again. I am very excited about dinner because I have heard such good things about this Bar Wa Izakaya! 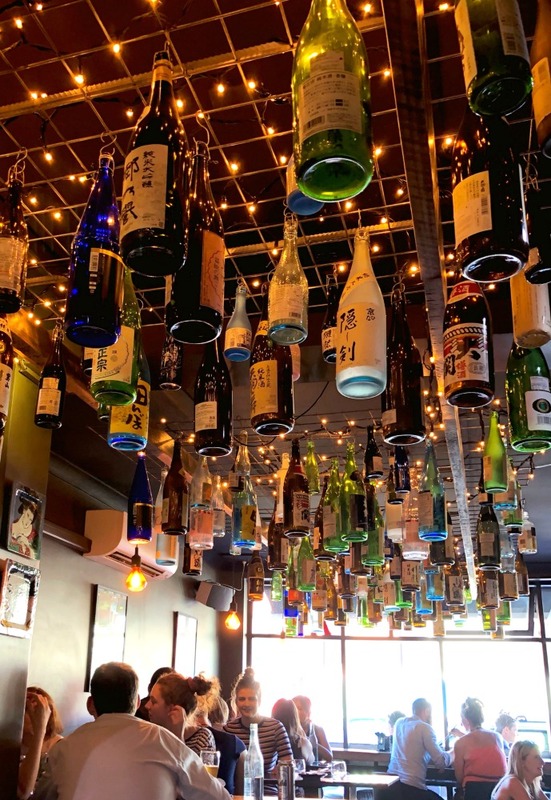 Famous for it’s selection of Japanese booze and delicious small plates, it’s always busy and we’re pleased that we had the wherewith all to make a reservation. Missing out is most definitely not my favourite! The menu is so comprehensive and sounds so delicious that it is really hard to choose but choose we do. We settle on the chicken karage (free range of course,) house made pork gyoza (because dumplings are life) and the standout dish the okonomiyaki (Japanese pancake). 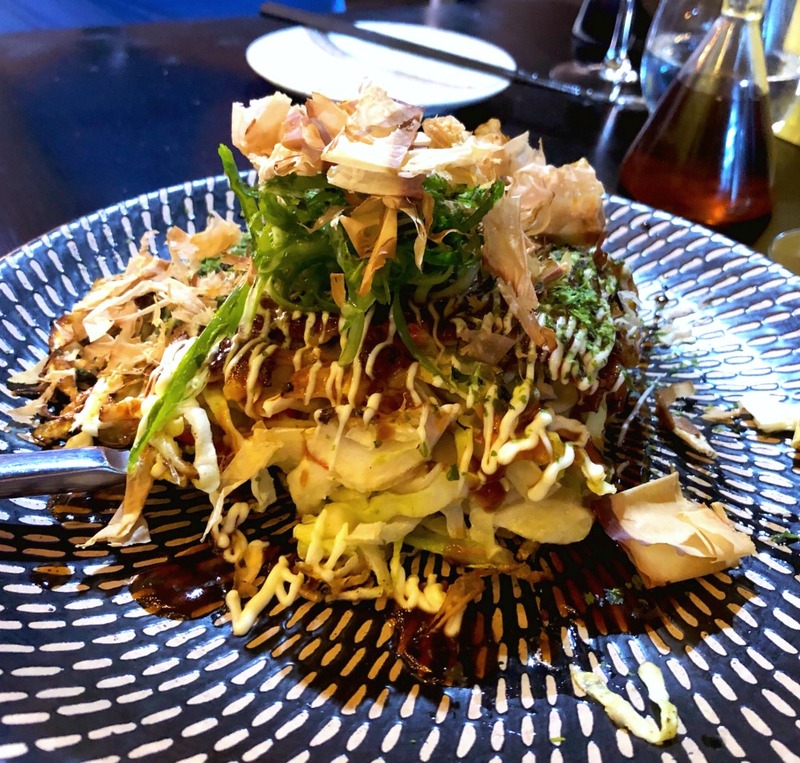 We pop our okonomiyaki cherry in style with this dish topped with pork belly, pickled ginger, cabbage, QP mayo, house okonmiyaki sauce, shaved bonito and spring onion. If you’re so inclined, there’s a neat little outside area for post dinner drinks but we’re so full, we need to stretch our legs pronto. Actually we don’t get very far with the leg stretching because we pass this super jolly rum bar just down the street. This place has friendly servers, island vibes and a rumcentric cocktail list. We love it. 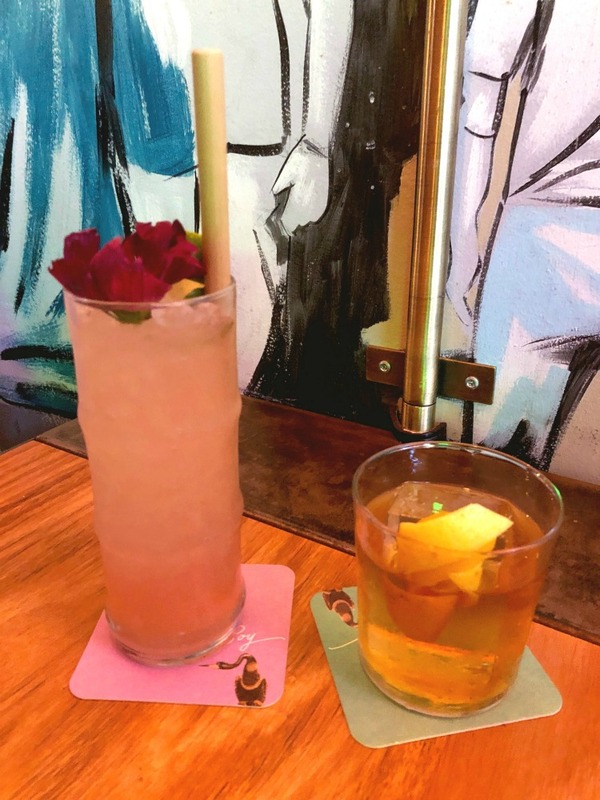 I choose a Heezy Breezy with vodka, rhubarb and grapefruit, fortified wine and lemon – it’s really refreshing and perfect for a hot day like today. David opts for a tiki twist on a classic old fashioned – house island rum, maple syrup, orange and angostura bitters, stirred and served over a large rock. It’s like the essence of the Caribbean in a glass and a most exotic way to end the night! We’re out the door and bright eyed and bushy tailed ready to check out Salamanca Markets. 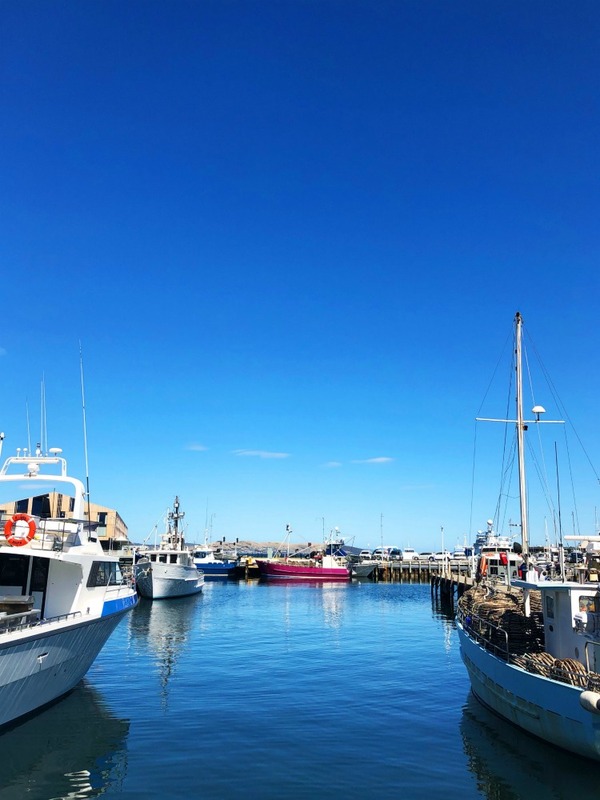 It’s one of Hobart’s most visited tourist attractions, one of Australia’s most loved markets and one of my personal Hobart favourites. 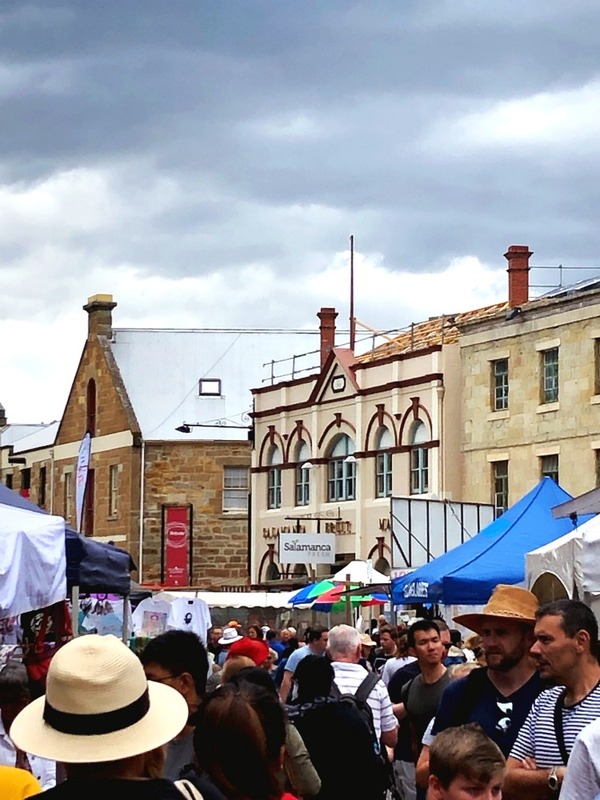 With over 300 stalls here you’re sure to find something to tickle your fancy with everything from craft to fresh produce, food to souvenirs and pretty much everything in between. It’s a good idea to arrive early because the market gets busy and fast. As I’m a wannabe minimalist, I bypass all the “goods” and instead pine for all the fresh produce I cannot buy, here’s looking at you interstate quarantine laws! We do however make time for breakfast (my mum says it’s the most important meal of the day and mum is always right) and the beauty of breakfasting at Salamanca is that there’s so much choice. I cannot go past the teeny weeny dutch pancakes (probably the smallest in the world,) working on the premise that because they’re smaller it’s totally legit to eat more of them. 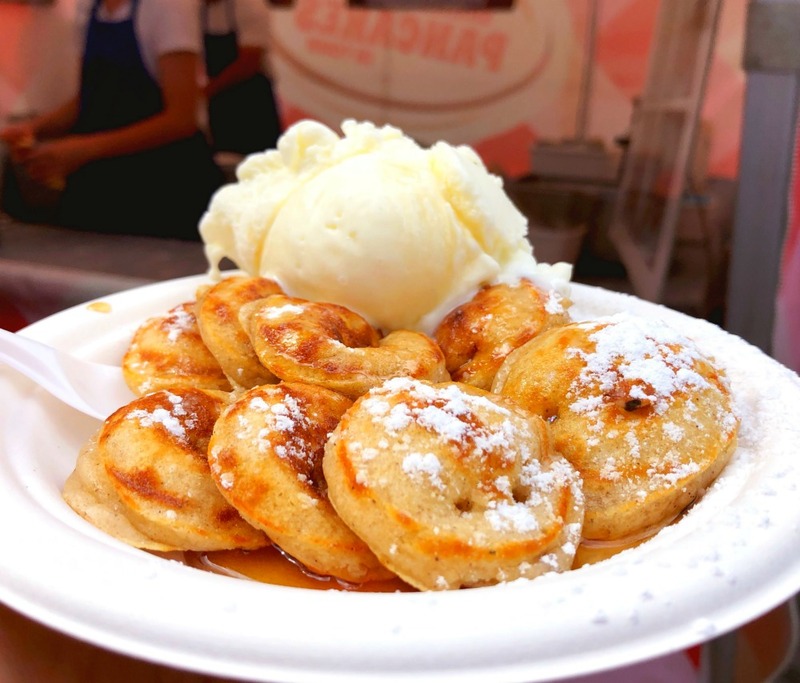 They’re generously doused in maple syrup and served with my choice of a side of ice cream, which today at least, is totally a breakfast food! 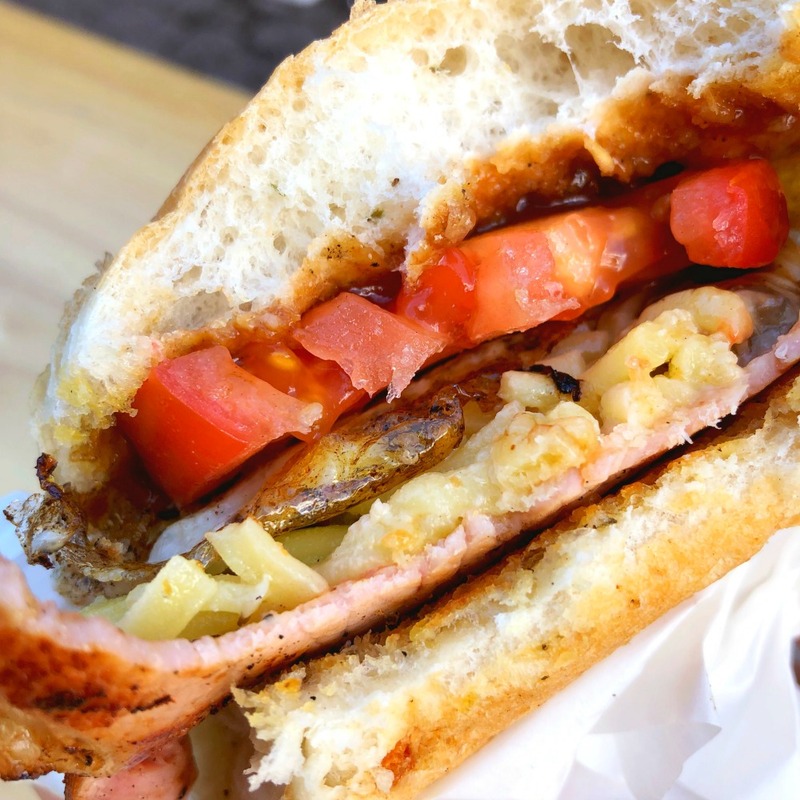 David goes to Gypsy Rolls where for $8 he gets a Salamanca – egg, bacon, grilled tomato, mushrooms and cheese in a buttered continental roll – and let’s not forget the extra HP sauce! He’s a very happy camper! 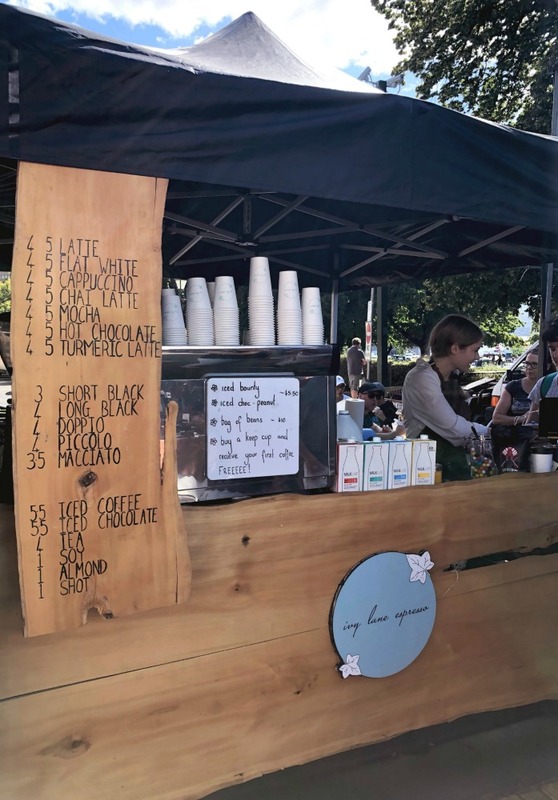 Breakfast isn’t complete without coffee of course, so we stop at the Ivy Lane coffee cart. 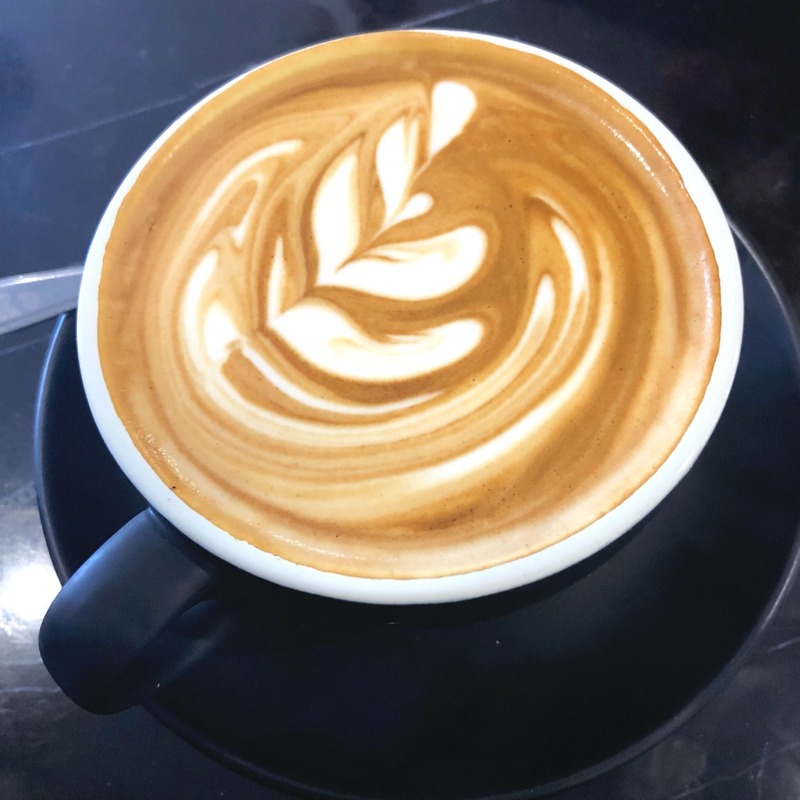 Clearly this is the place to be because there’s a 10 minute wait but when our caffeine finally comes, it’s totally worth it, plus it’s served with a smile and a chocolate M&M! We hop on board with our tour guide Heather from Let’s Show You Tasmania Tours. 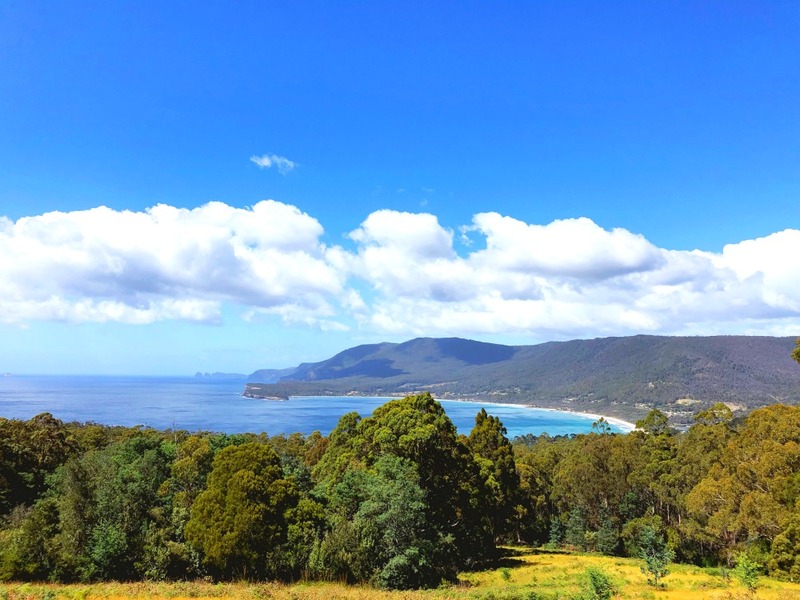 We head towards Port Arthur making a pit stop at Pirates Bay Lookout because this view is too good to miss. We explore the Historic Site with our tour mates, Doug and Georgina. There are not many people visiting today and with the beautiful weather, the exquisite gardens and the air of tranquility, it’s really hard to imagine the horrors that happened here. We enjoy our exploring but the ferry ride around the site is definitely the highlight. All that history has made us hungry so we stop off at Port Arthur Lavender for some afternoon refreshments. There’s a lovely cafe here and a beautiful shop that sells all things lavender. We take a seat outside in the sunshine and as beautiful as the view is, I only have eyes for my uber-scone and lavender cream. It’s definitely an edible highlight! Time for a geological interlude at Eaglehawk Neck where we check out the Devils Kitchen (not a kitchen in any shape or form!) the Tasman Arch and the Tasman Blowhole. The views from the lookout are amazing and our cameras get a thorough workout. 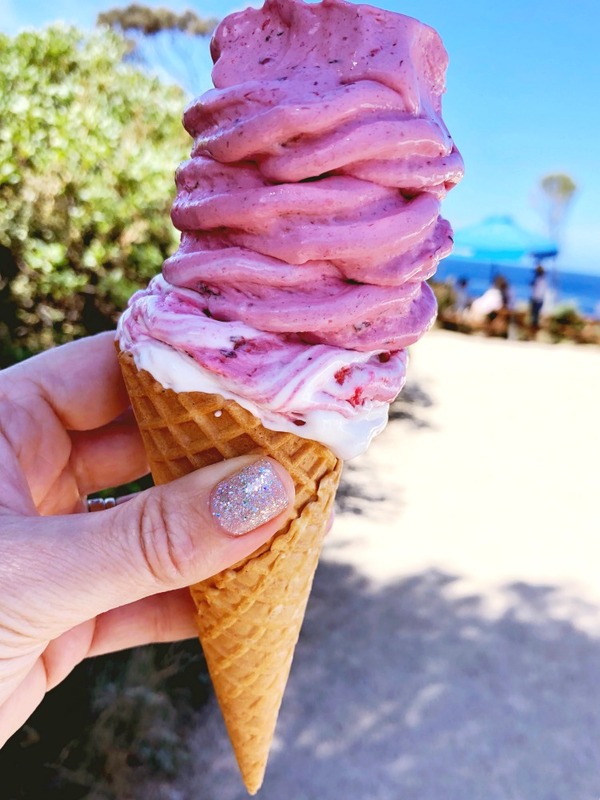 Even though I’m full of scone, I somehow find the stomach space for one of these homemade berry ice creams from Doolishus. Each enormo-cone is made fresh to order and it tastes as amazing as it looks. 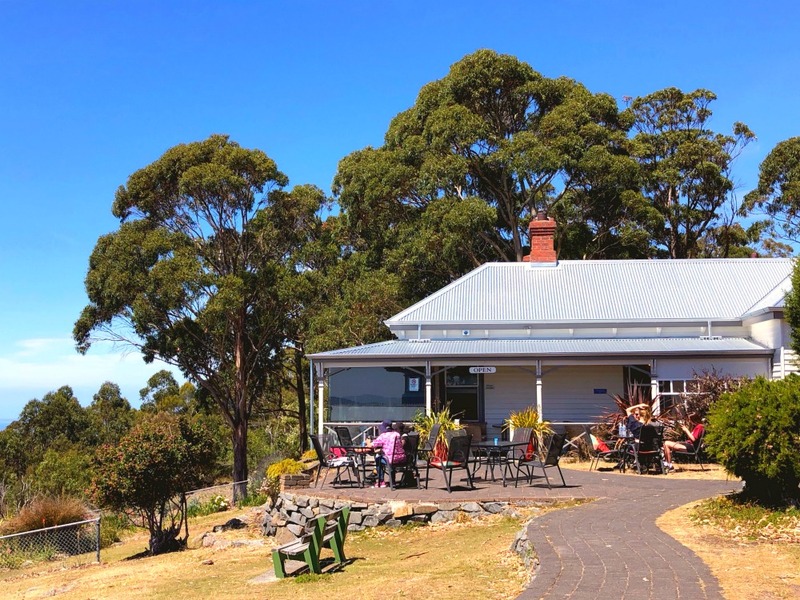 The ice cream alone is worth a visit to Eaglehawk Neck. You can check out all the juicy details of our tailor-made tour here! Our love of carb loading takes us to the suburb of Sandy Bay for a delicious dinner at Solo. Everything here is standout from the food to the service. Even though the restaurant is quite big, it’s packed on this Saturday night so we’re pleased we booked ahead. 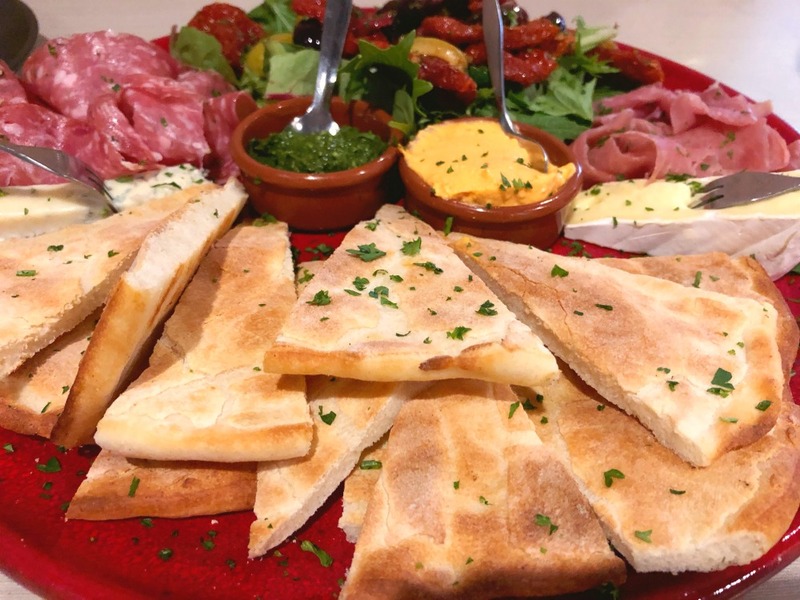 We have some antipasto to start followed by a large pizza – they come in 4 different sizes; small, medium, large and family – and our only regret is that we can’t find room for the homemade Tiramisu. If only I hadn’t had that ice cream! This is the real reason we’ve come to Hobart… To run for chocolate. 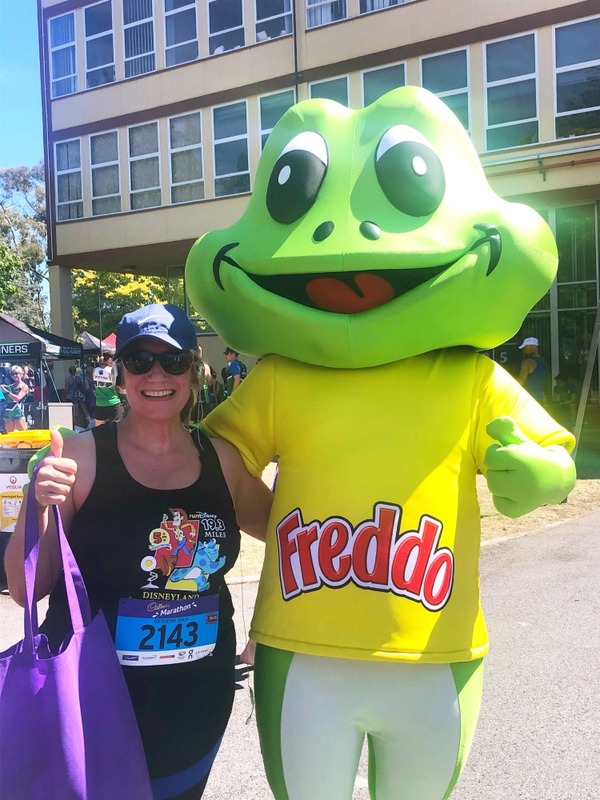 Seriously though, the Cadbury Chocolate Run is one of our favourite events on the running calendar and not just because it is a great excuse to visit Hobart. With the choice of a full or half marathon, a 10k, a 5k and a 1k event, there really is a fun run for everyone. There’s a relatively small field of runners, a really great atmosphere and a pretty, albeit quite hilly course. The best bit is that at the end, you get a goodie bag full of chocolate and the chance to meet Freddo Frog in real life. Now if that’s not worth running 10K for, then I don’t know what is! Nothing beats a visit to Farmgate Market on a Sunday morning but by the time we’ve freshened up at the hotel and are re-stretching our legs, the market is closing and more to the point, Lady Hester’s Donuts are sold out! Instead, we head to Room For a Pony so that I can eat my feelings and some of their delicious breakfast/lunch menu. We soak up the sun outside where it’s dog friendly and there’s a talented live musician. It’s the perfect way to brunch. Everything on the menu looks so good, it’s really hard to choose especially as both the breakfast and the lunch menu are served until 3pm. 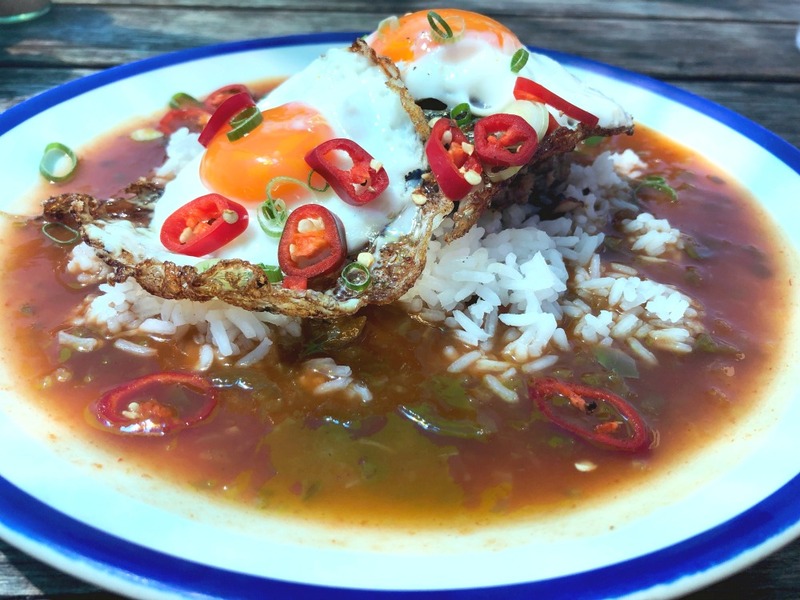 In the end, I settle for the Loco Moco – fried eggs Hawaiian style with jalapeno gravy, rice and beef patty – it takes me back to my Waikiki days! We take a break from the sun and pop into the Tasmanian Museum and Art Gallery because like the best things in life, this museum is free (although there is a cost for special exhibitions.) We’ve been to the museum a few times before so this is just a flying visit. Before long though, we’re back out on the docks and it’s blue skies all the way. 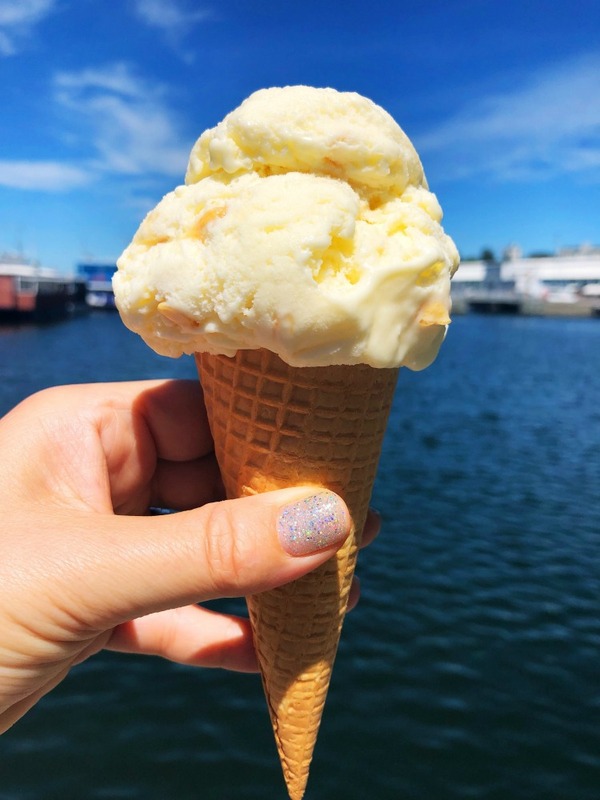 I’m a creature of habit and my Hobart habit is to always get a scoop from Van Diemens Land Creamery at Constitution Dock. I know it’s always good to try something new so I swap Salted Caramel (my regular flavour of choice) for Hokey Pokey and it does not disappoint! We realise that neither of us have had a coffee today and set about rectifying the situation immediately. However, it proves to be quite tricky to find a decent cup of coffee on a Sunday afternoon in Hobart. Praise be to Daci and Daci who are open until late afternoon. It’s always such a treat to visit this classic French patisserie and even though I’m way too full to contemplate eating anything, I can still enjoy looking at the baked goods. The cakes here are totally extra and I’m pleased to report the coffee isn’t half bad either! After a quick power nap, we’re ready and raring to go. We stop off at Lucinda Wine, sister venue to the famed Dier Makr restaurant which is conveniently located in the same building. 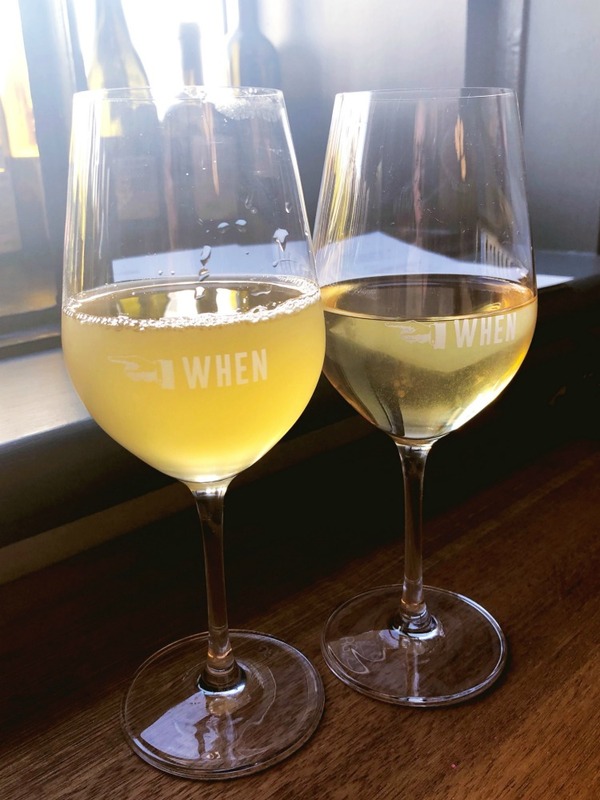 There’s a great selection of wine by the bottle and by the glass and the staff are super friendly and helpful – if you’re not sure if the wine is to your taste, you can try before you buy. There’s a small but perfectly formed menu of wine friendly food and it’s open late too – we’ll definitely be back next time. Greek cuisine is one of my all time favourites so this dinner situation is most pleasing. We’ve actually been here before but loved it so much we decided to come back for a repeat performance. The modern industrial space is vast, modern and always busy – so it’s a good idea to book to avoid disappointment. 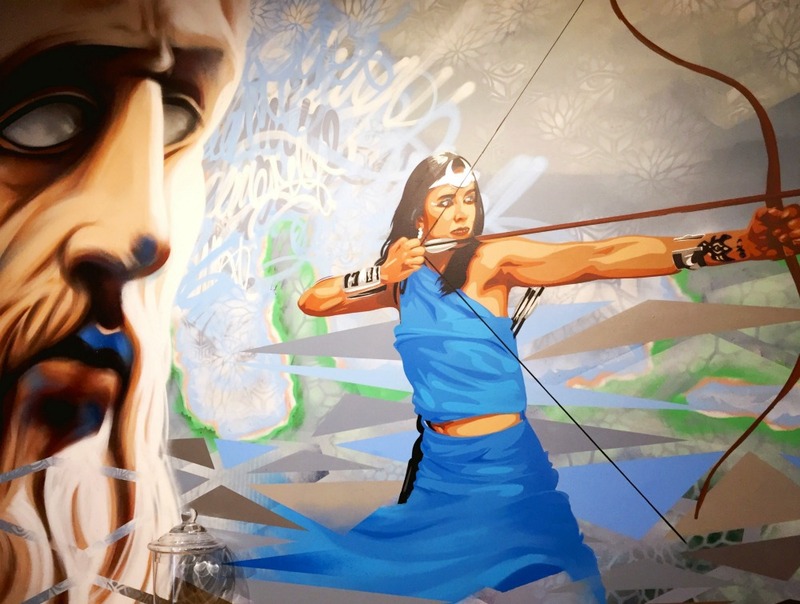 The wall murals are fabulous too! All that running has worked up quite an appetite so we opt for the Hippocrates banquet ($65 pp) so we can try a little bit of everything. 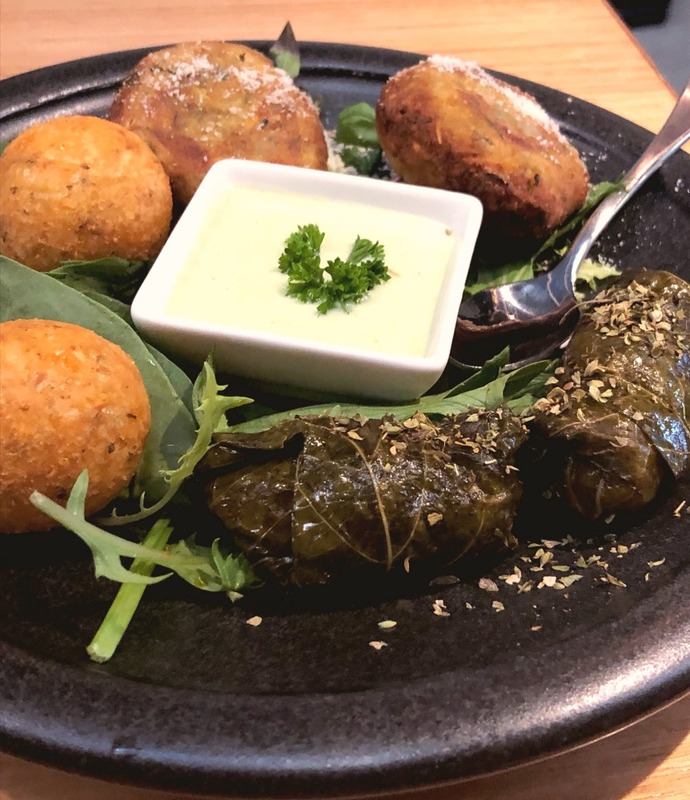 The Meze plate with dolmades (stuffed vine leaves,) tirokroketes (fried cheese balls) and Kolokithokeftedes (Greek zucchini fritters) is one of my favourites although the chargrilled octopus is a standout too. It’s not just the food that makes you feel welcome here, the service is top notch and our server is friendly, attentive and makes us feel so welcome. It makes for a wonderful dining experience. 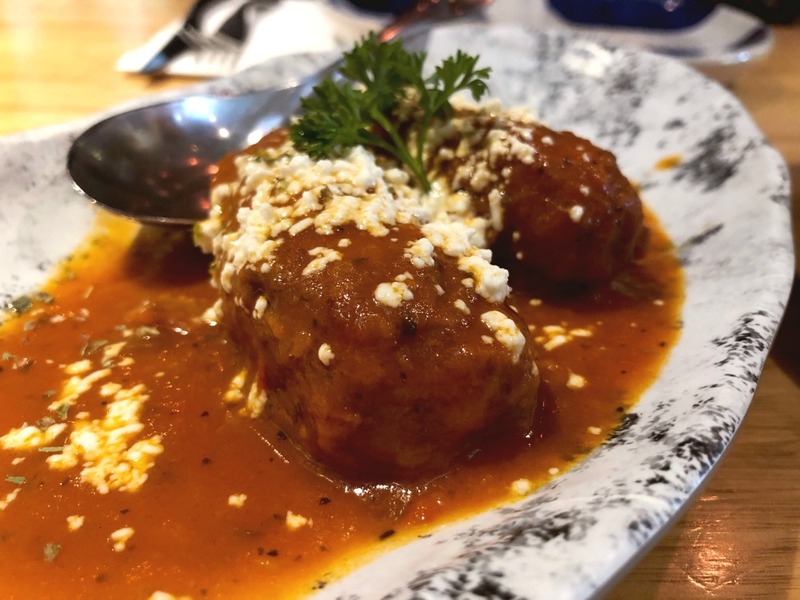 There’s a modern twist on traditional family recipes here, we love the Soutzoukakia (Greek meatballs) and don’t get me started on the lemon roast potatoes, so good! We even save some stomach space for the dessert, it’s homemade after all. 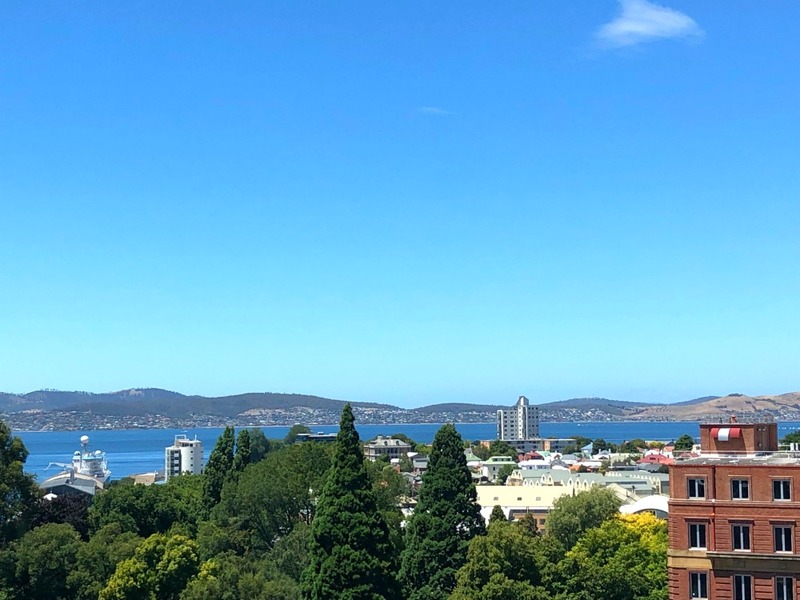 It’s our last day in Hobart and we want to make the most of it so we check out early, stash our bags and head to Franklin Square to catch the bus (number 458) to Mount Nelson. The bus fare is a snip at $3.40 and it’s a pleasant and scenic ride although the ascent up the narrow mountain road is not for the faint hearted, ie, me. 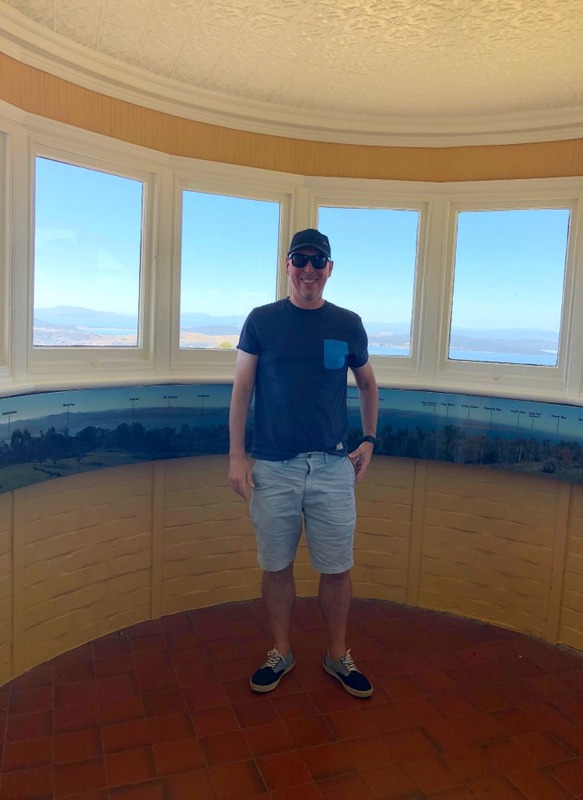 When we arrive, I don’t know what I’m more excited about, the views or the delightful Signal Station Brasserie located in the house that was originally built for the signalman. The cafe has a tempting and expansive breakfast menu but I only have eyes for the scones. I’m really pushing the breakfast boundaries this trip and have decided that scones are totally a breakfast food. 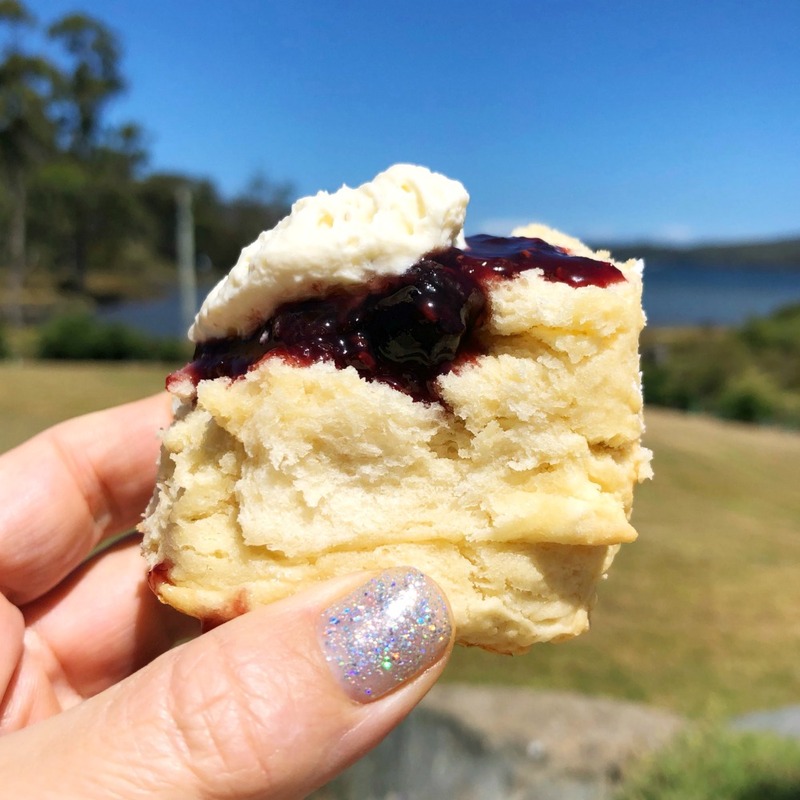 The scones here are baked fresh and baked big so we share these two between us and eat them outside looking over Storm Bay. 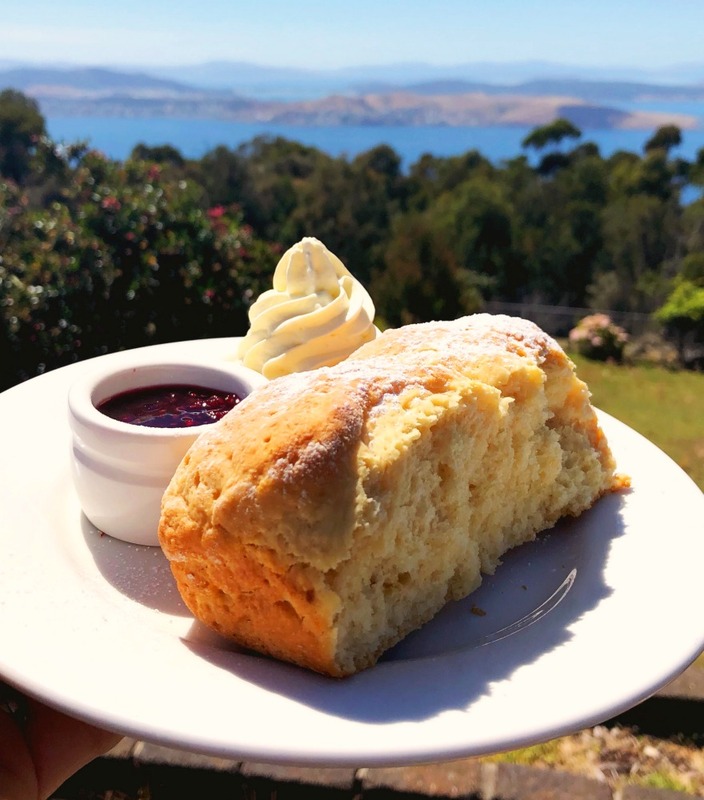 It’s definitely a scone with a view. 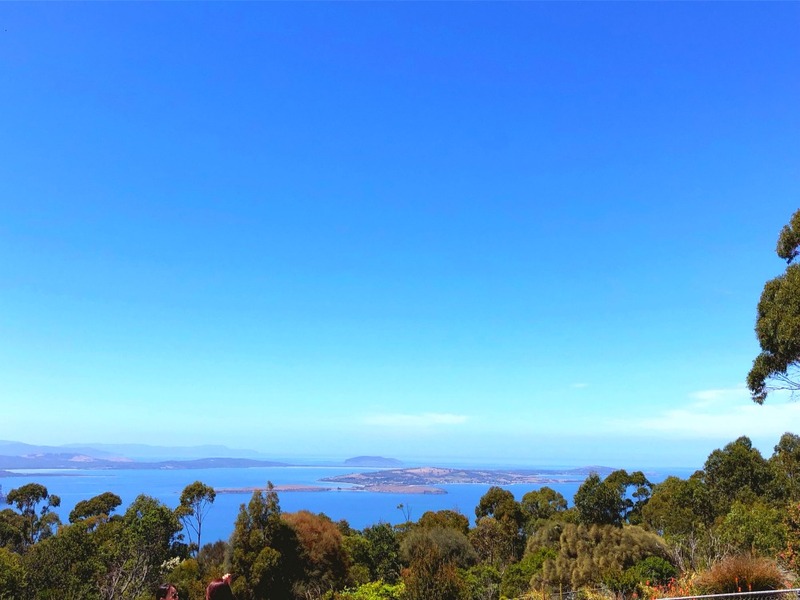 So let’s talk about those views… Although some of the trees are a bit overgrown and partially obscure some of the scenery particularly towards Hobart, for the most part, the views here are pretty spectacular and it’s a really beautiful spot. My camera gets a thorough workout. After our tea and scones we pop over to the signal station itself. 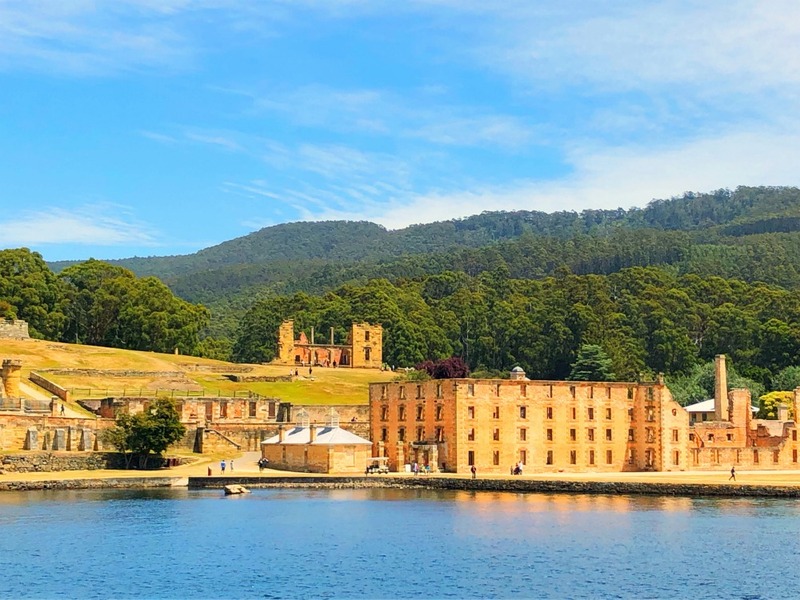 Built in 1811, it was the first signal station to be built in Tasmania. Inside there’s informative displays about the history of the station, station life and the role it played in shipping for both Hobart and Port Arthur. The views are just as good inside the signal station as they are out out of it. Before long, we’re off on our merry way on the bus back to town. Side note: the buses aren’t very frequent so check the timetable back to town to avoid a long wait. 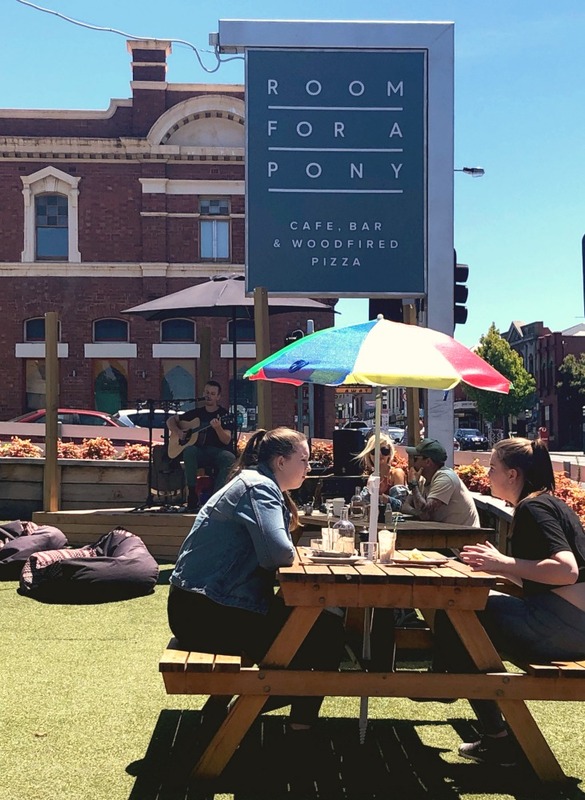 I couldn’t leave Hobart without a visit to this quirky, bohemian cafe that specialises in bagels. Because bagels! 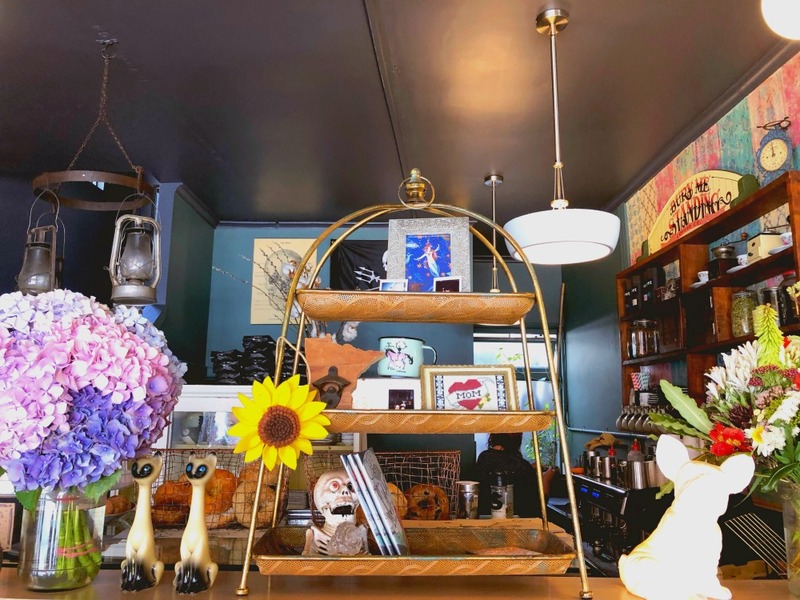 The bagel and the (cream cheese) shmear menu changes daily – we had a choice of plain, cinnamon crunch, apple and cranberry, cheddar, sesame or “everything” bagels – and there are heaps of vegan options on the menu too. 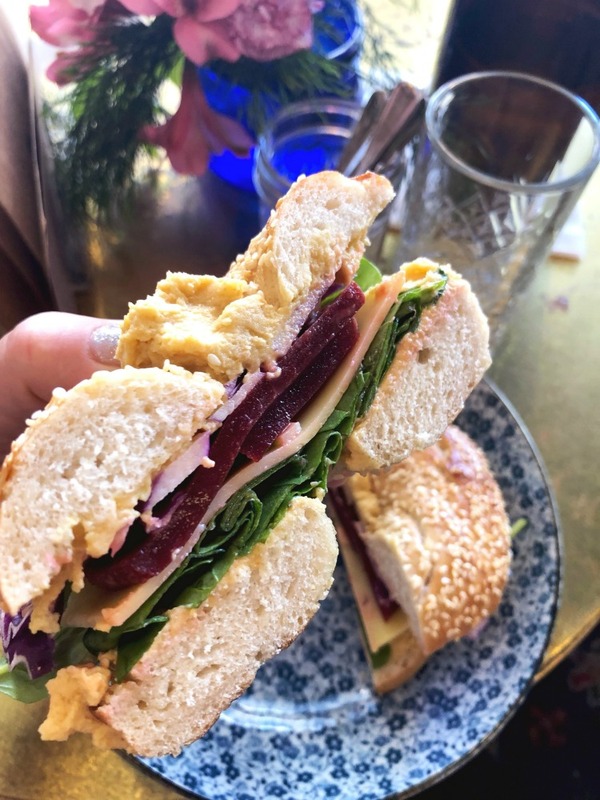 I can’t go past the Bagel Sandwich with the Lot – cream cheese shmear, greens, veggies, beetroot, cheese and some value added hummus. Service is super friendly and my only regret is that I don’t have room for one of their famous (and also vegan) cinnamon scrolls. They look totally extra! So it’s with a belly full of bagels, happy hearts and tired legs that we head to the airport and make our way home. 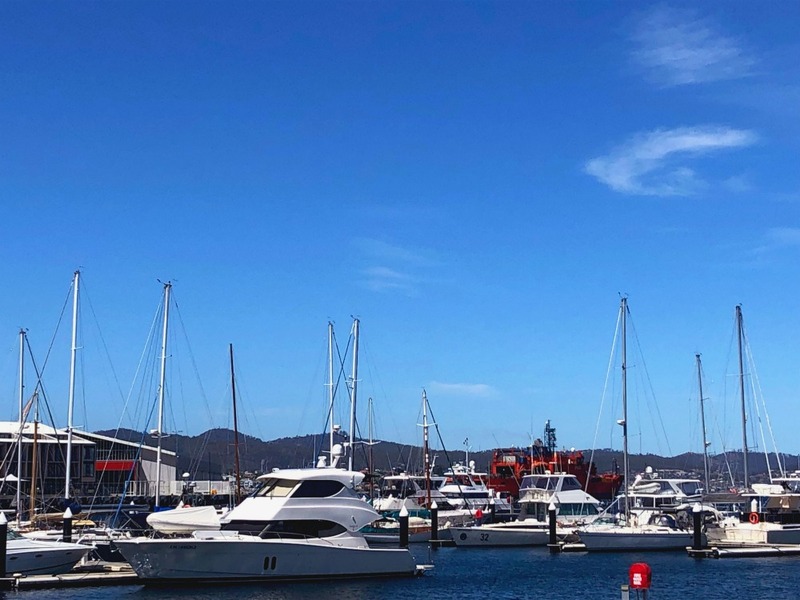 Until next time Hobart… Because there will be a next time! 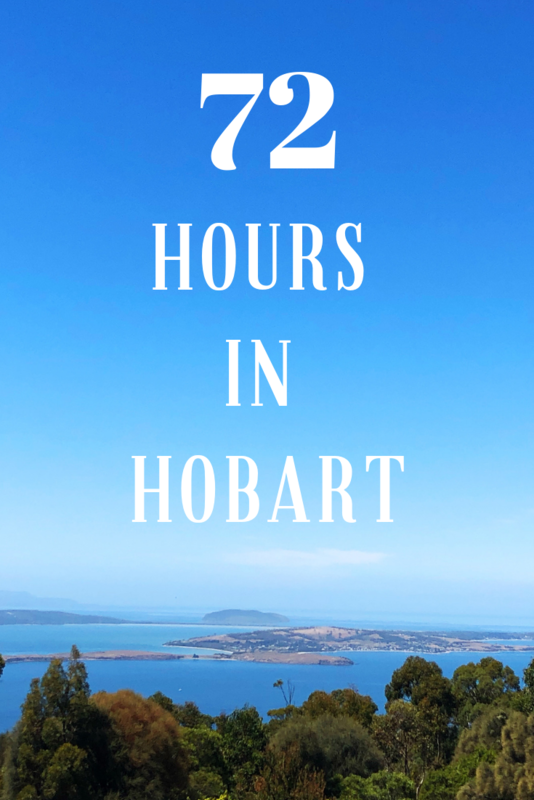 What would be your Hobart highlights? What should add to the list of Things to See, Eat and Do for next time?